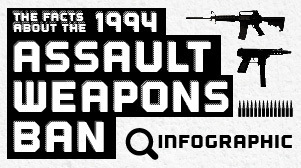 Much has been written about two studies of the 1994 Assault Weapons Ban by former Urban Institute researchers Chris Koper and Jeff Roth. Much of it is wrong. Assault Weapons as covered in the 1994 law aren't automatic weapons - they are semi-automatic weapons. Bayonet is also not spelled Bayonette. Are you sure your data is right given those mistakes?